It’s one of the most frustrating aspects of potty training: Your toddler has been in underwear for weeks when suddenly he or she begins to have accidents. But don’t worry — you can get back on track with training despite a bout of regression. Robin Nolan’s son finished potty training at age 2-1/2 but began having accidents again when the family welcomed a new baby. The Carson City, NV, mom had heard this could be common, but it was a definite frustration — especially when coupled with the demands of a newborn infant. Having multiple accidents or refusing to use the toilet after having successfully finished potty training is called "regression," says Dr. Charles Shubin, director of pediatrics for Mercy Family Care in Baltimore, MD, associate professor of pediatrics at the University of Maryland and assistant professor of pediatrics at The Johns Hopkins University. Regression, while frustrating, is a common struggle many parents encounter, and it has a variety of causes. But don’t worry — you can get back on track with training despite a bout of regression. While regression can happen for many reasons, it’s usually stress-related. Another possible cause for regression could be an infection. “A urinary tract infection can make it difficult and painful to control the bladder, so this can manifest as regression,” says Dr. Cara Familian Natterson, a pediatrician from Los Angeles, CA. And while regression can happen for many reasons, it’s usually stress-related. 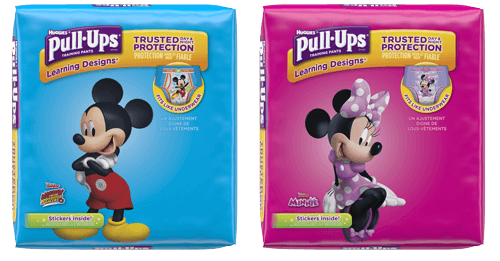 LaRowe says reading books to your child about potty training will offer additional positive reinforcement. She also recommends starting a reward or sticker chart that will visually show your child’s progress and allow her to take pride in daily accomplishments.